There are two parts to the supply of AE, part of which is public fundraising, and part of which is miner mining. AE conducted public fundraising in 2017. A total of 270 million were issued, of which about 40 million were held by the team and the foundation, and 230 million were left. About 260 million miners were rewarded for mining, which was released during the 116 years of mining time. Block Reward: As of February 11, 2019, there were 430 blocks per block, which gradually decreased over time. 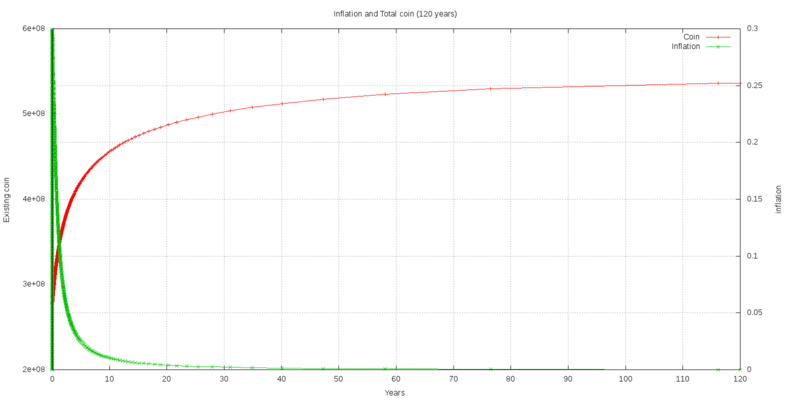 The supply and inflation curves are as follows.